Improve Your Chess Tactics presents more than 700 decisive combinations from tournament practice and is a self-tutor and a sparring-partner in one. Experienced Russian chess master Yakov Neishtadt has selected those examples that have the biggest instructional value for club players. 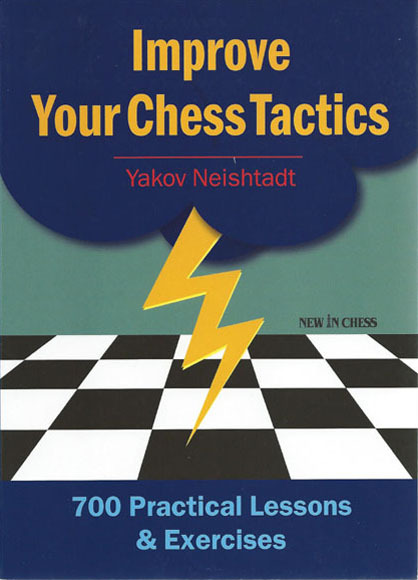 In the first part of the book Neishtadt teaches a systematic course on the most important tactical themes. The second part consists of an exam with hundreds of tests from real-life chess, in random order so as not to give unwelcome hints on how to solve them. The solutions are not just lists of moves, but include clear, witty and instructive prose.